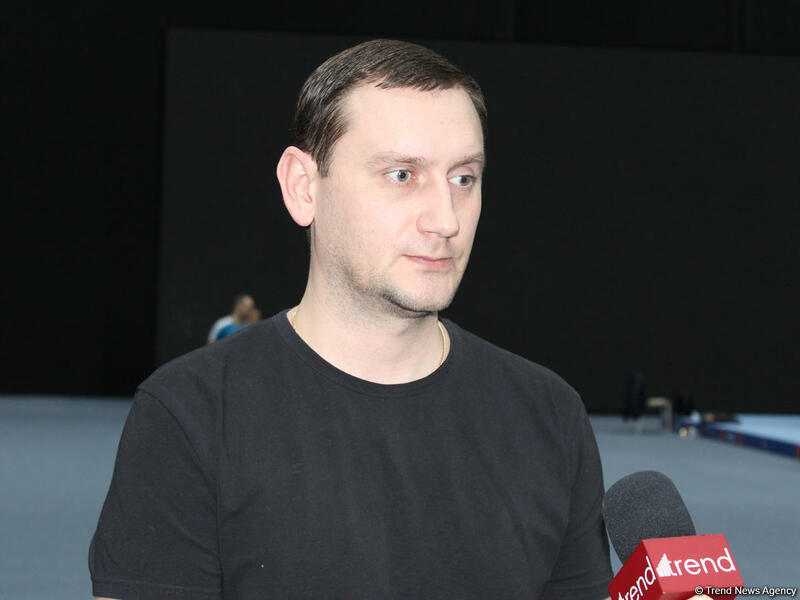 Preparation for the Trampoline World Cup in Baku is in full swing, head coach of the Azerbaijani national trampoline team, Vladimir Shulikin, told Trend. "We are preparing for the competition with all our might. For us, this is a double responsibility, since this World Cup is a licensed start as part of the qualification for the Olympic Games 2020 in Tokyo. We will make every effort," the head coach said. Shulikin noted that the competition will be very hard, because the current world champions will compete there. The head coach added that the main rivals of the Azerbaijani team are gymnasts from Russia, China, Belarus and Japan. "But our most important rivals are ourselves. If we can cope with the psychological burden, then we can achieve good results," he added. Shulikin stressed that excellent conditions have been created in the National Gymnastics Arena. "All those who come to Baku, leave only with positive emotions and want to return here again," he said. The FIG Trampoline World Cup will be held in Baku on Feb. 16-17. About 300 gymnasts from 31 countries are expected to take part in the World Cup. Such Olympic stars as Uladzislau Hancharou, Rosie MacLennan, Jason Burnett, Dong Dong, Gao Lei, Dmitry Ushakov and Bryony Page will compete. Veronika Zemlyanaya will represent Azerbaijan at the World Cup in individual programs, while Ruslan Aghamirov, Ilya Grishunin, Oleg Piunov will represent the country in the individual and synchronized programs for men, and Mikhail Malkin on the acrobatic track.